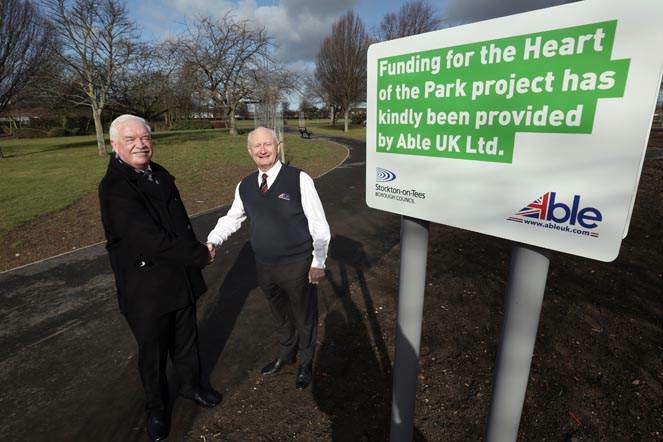 Able UK executive chairman Peter Stephenson with Councillor Ken Dixon, Stockton Council’s Cabinet Member for Arts, Leisure and Culture, at John Whitehead Park in Billingham. A Teesside company has funded the finishing touches to the £200,000 transformation of a popular Stockton park. Stockton Council’s ‘Heart of the Park’ project, funded by Billingham firm Able UK, has almost completed the overall regeneration of John Whitehead Park in Billingham. Some of the improvements include the installation of new street furniture, the creation of an events area and a seating area around the cafe. More equipment for children has been added to the popular play area. Peter Stephenson, Able UK executive chairman, said: “The Government’s Landfill Communities Fund enables landfill operators such as ourselves to make significant amounts available to support a wide range of community projects. Councillor Ken Dixon, Stockton Council’s Cabinet Member for Arts, Leisure and Culture, said: “The finalisation of the improvements to John Whitehead Park is fantastic news. “The developments will benefit all users of the park including the people of Billingham and the many residents who visit from across the Borough. The developments fulfil the vision of the park becoming a high quality recreational and leisure space that meets the diverse needs of the local community. The new signage, alongside the information centre, will help to improve the accessibility of the park to all users. The works complement the improvements made as part of the £320,000 ‘Sport in the Park’ scheme in August 2014 which saw the refurbishment of the park’s tennis courts, skate and BMX areas. 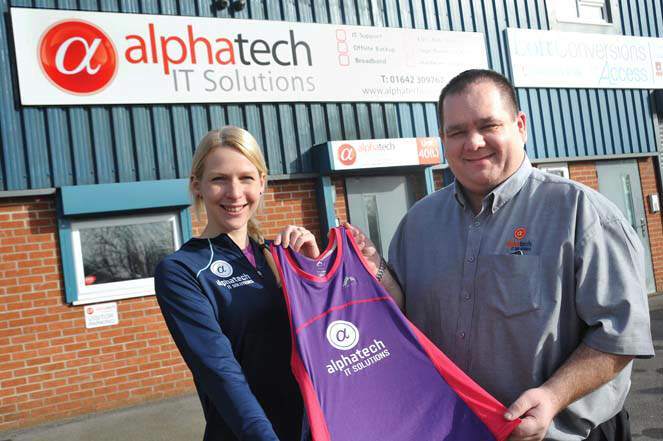 Able UK committed the funding for the ‘Heart of the Park’ project, which is expected to be completed in March, via the Landfill Communities Fund. Stockton Council is also keen to hear from residents who may have any old photographs of John Whitehead Park, as they could help to build the picture of the park’s history.